Barrack Street came into existence in the late 1700s; it is one of the few remaining streets in Devonport containing the original cobbles, including the dartmoor granite on the kerb and pavement edges. Any street in Devonport lucky enough to have retained some original cobbles have either been relaid and remixed with newer modern cobbles, such as Cornwall Street, or have just a few remaining at one end of the street, such as the section of lane preserved at the corner of St Stephen Street, and this one in Barrack Street. Barrack Street is today a short lane (truncated since WWII) entered from the west in Chapel Street. There is no exit at the eastern end as there stands one of Devonport's historic walls, rather, a remaining portion of it - this is 'The King's Inner boundary Wall' built by the Duke of Richmond c1787. 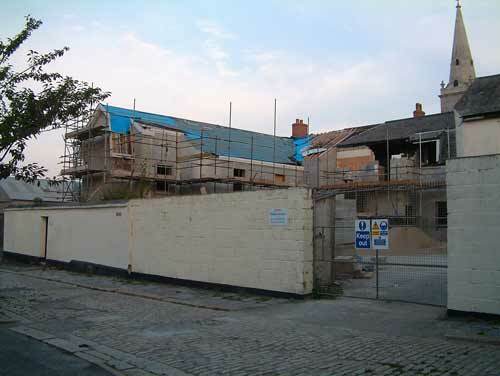 Photo 1, at 2003: The Manor Office viewed from Chapel Street, prior to it being redeveloped. The cobbled lane disappearing off to the right is Barrack Street. The King's Inner Boundary wall is visible. Photo 2, at 2003: Looking back out to Chapel Street while standing at the eastern end of Barrack Street, with my back to the historic wall. The Manor Office, as it was then, is the building to the right. 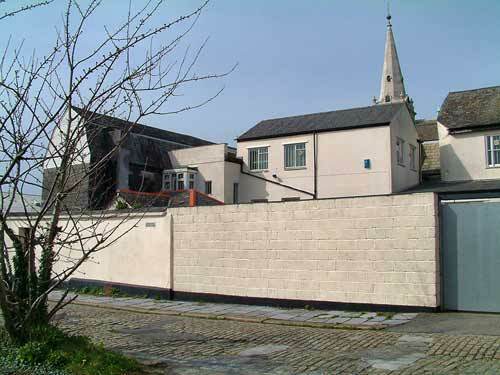 The dockyard buildings ahead, behind the Chapel Street Wall, were demolished after 2007 when the wall started being dismantled. 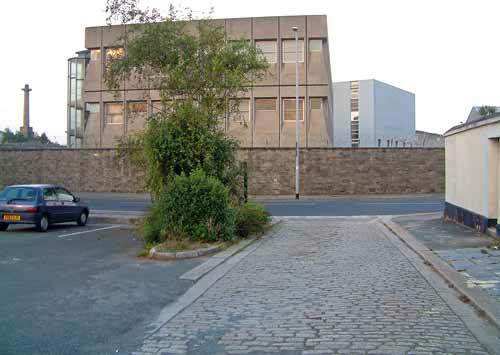 The empty space at left was once the car park of The Brown Bear, (the Chapel Street public house that was demolished due to Arson on 22 October 2005 ) and which currently (at 2012) has planning permission applied for, to build premises facing Chapel Street. The Manor Office is Grade II listed by English Heritage. 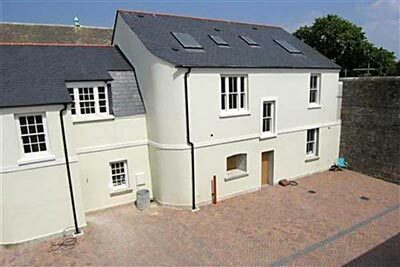 The building was orginally the offices of Stoke Damerel's/Devonport's Lord of the Manor, where rents were paid and business in the town taken care of, hence the name Manor Office, or locally sometimes referred to as the Manor House. In 2001 the property was sold to a developer who, between 2005-2008 redeveloped the building from office use into residential homes. The main entrance into the new properties is via Barrack Street. Barrack Street was once much longer than the present short strip - it reached as far west as the Market, but that end of the street was destroyed by WWII bombs. Plan showing ground floor plan, first floor plan and second floor plan, 27 May 1908. Plan showing front elevation, section and back elevation, 17 Jun 1908. Plan showing first floor, second floor and block plan of site showing Cross Street [now Raglan Road], barrack Street and Cumberland Street, 18 Jun 1908. Notice of intention to build, 25 Jun 1908. Architect: Charles Cheverton. Owner: Captain Knowling of 'The Eagle Brewery'. Application approved, 13 Jun 1908. Named owners: The Executors of M Roseman, deceased. 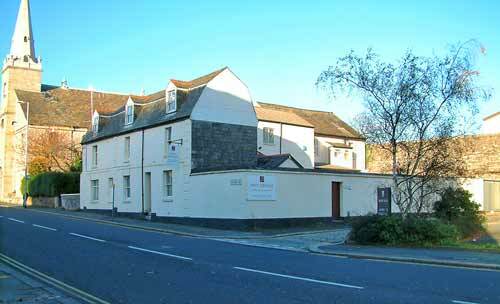 Photo 3: A 2003 view of Barrack Street, showing the old rear entrance to the Manor Office, since altered by redevelopment. The height of the historic wall is more apparent in this photo. Photo 4 above: Another 2003 view of Barrack Street, showing the Manor Office prior to redevelopment, whilst image 5 below is the same view in 2005, during redevelopment. 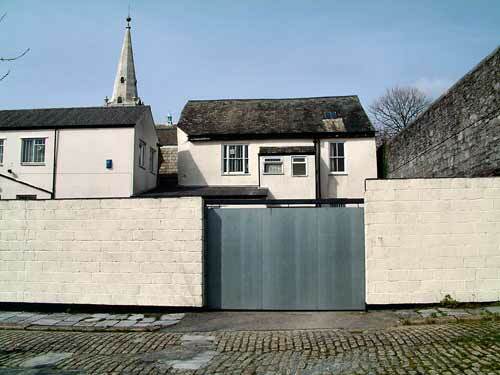 Now, at 2012, the only residential properties in Barrack Street are those contained within the Manor Office plot. 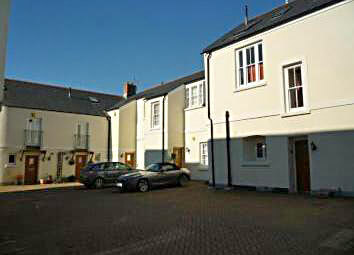 There are 16 homes, all built betwwen 2005-2008, all sharing the same courtyard space, where residents park their cars - as visible in the next two images. See the Manor Office page for further views of the redeveloped building. The following, whilst not full and complete, does give an indication of property values in Barrack Street in the period 2007-2012.